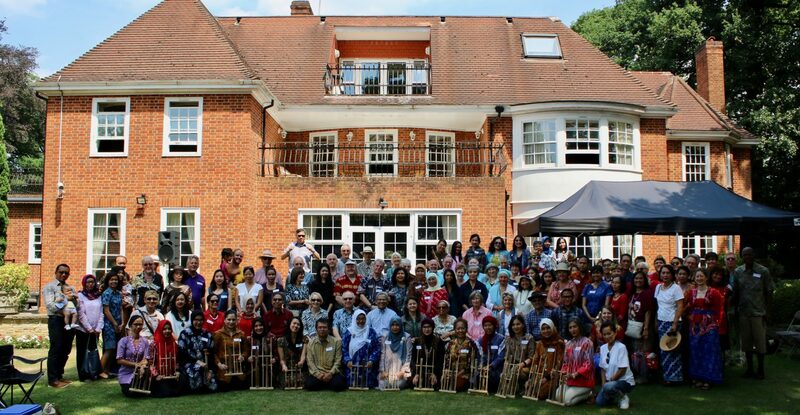 The Anglo-Indonesian Society is an independent, non-political organisation dedicated to fostering friendship and understanding between Britain and Indonesia. It seeks to strengthen cultural, educational and social relations between our two countries. Members include people who have worked, lived or travelled in Indonesia and share the society’s aims, and Indonesians living in the UK. The society arranges a regular programme of events for members. This includes talks, social gatherings, outings and educational events. The centrepiece is a series of monthly evening lectures given by different expert speakers on a wide variety of topics related to Indonesia. The lectures are usually held at the Indonesian Embassy in Great Peter Street; attendance is free of charge to members and their guests. Refreshments are served and there is an opportunity for members to meet before and after the lecture. In addition, the society seeks to develop links with the Indonesian community in Britain and with Indonesian students studying in the country. The society holds an annual careers evening for the Indonesian students.